Earlier this month I met up with Martin Englert at the European Bonsai San Show 2018. An inspiring bonsai potter from Osnabrück in Germany, his exquisite hand-painted porcelain works completely contrast with his earthy honest wood-fired pots. By the time I got over to his vendor table a lot of his work was sold. If you do get to see his work buy NOW, it will only become harder to find and DEFINITELY collectable. I asked Thor Holvila to make a pot for the tree, I was looking for a different approach … This from Thor “I call this design Nidhögg since its depicting the dragon snake in Norse mythology that guards the world tree Yggdrasil. It’s carved by hand from one piece of granite grey Danish clay. Thor Holvila‘s attention to detail is wonderful, unseen are the faces of of Nordic characters with the eyes being the wire holes, each face different, and the feet are characteristic of of the carvings on Viking longboats. The tree pot combination is great and the colour matches well with the rugged silvery bark, and when the foliage fills out it can only improve. 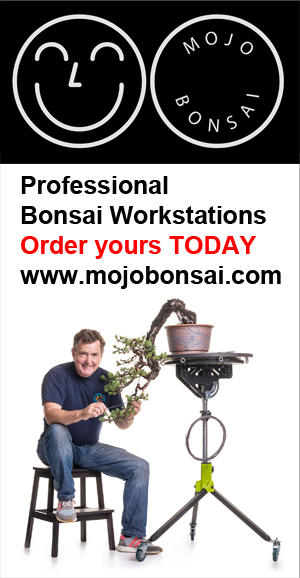 I have seen the work of Tom Benda develop over the last few years however his most recent work is up there with the best bonsai potters in Europe. At the recent EDA UCHI KAI exhibition in Belgium Tom’s Trade stand was the busiest by far.My Yamadori trade stand backed onto Tom’s and we had a great weekend together. It was a classic case of “buy the pot NOW” because if you don’t somebody else would! 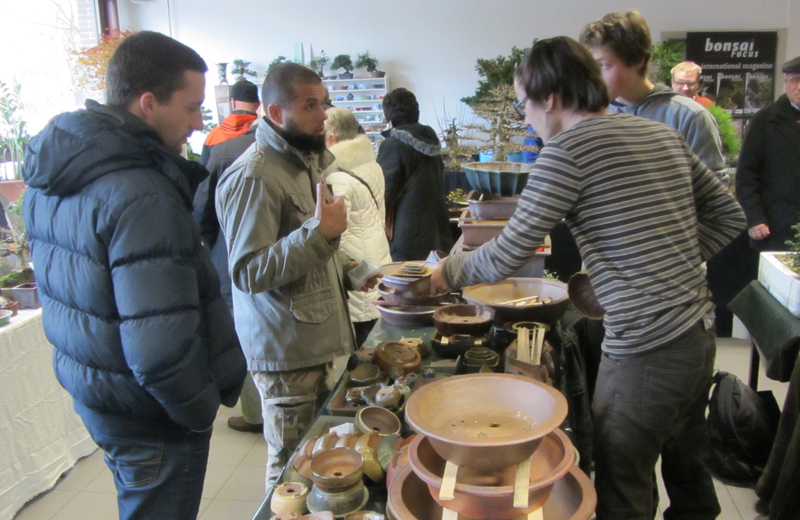 So many pots were purchased in the first few hours of the weekend. 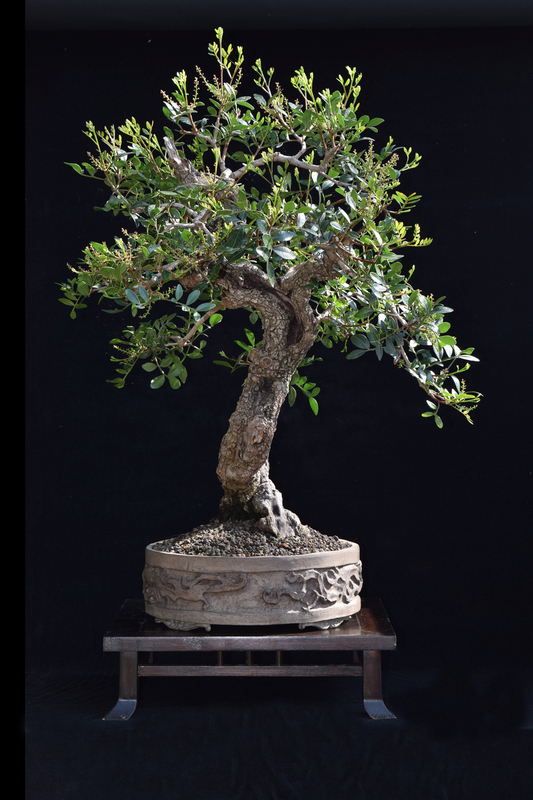 This brings me to one of the Pots that I purchased, considered by Tom as “The best bonsai pot I have ever made” (what sales technique!) 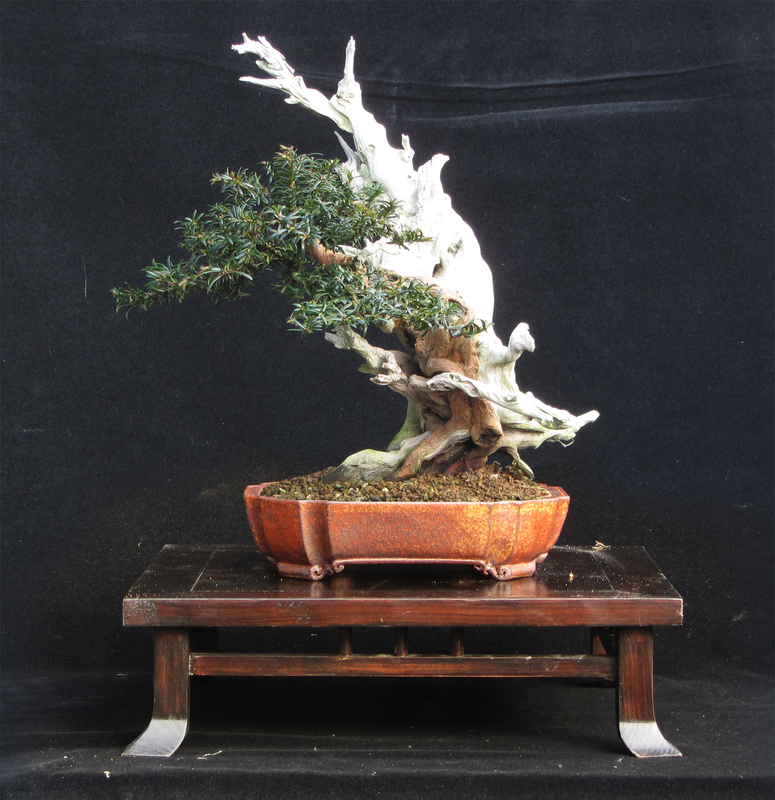 This was to be for a Kifu size Yamadori Taxus Baccata that I have been working for quite a few years. The current pot is by Milan Klika, lovely but not quite right for the tree, I will be potting the tree into the new container in April 2014. To ensure that the pot will indeed suit the tree I always produce a ‘virtual’ image.